1. 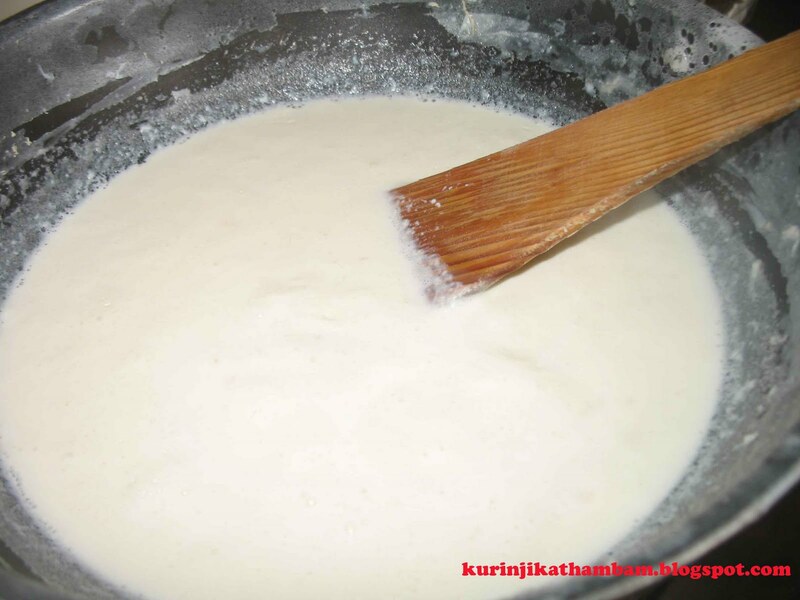 Heat the milk in a heavy bottomed or non stick pan. 2. Stir the milk occasionally until it is reduced to ¼ of its quantity as in Figure1. 3. 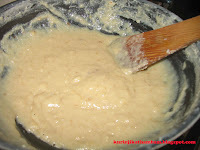 Add sugar, maida and cardamom powder as in Figure2. 4. Mix them well and add ghee. 5. Stir continuously till the halwa leaves the sides of the pan or the ghee gets separated from the halwa as in Figure3. 7. Garnish with grated badam. 2. 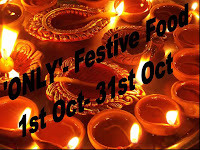 CFK - Festive Food by Sharmi. 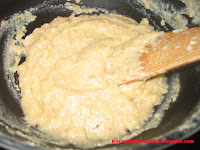 Milk halwa looks very yummy,one of my fav sweet. 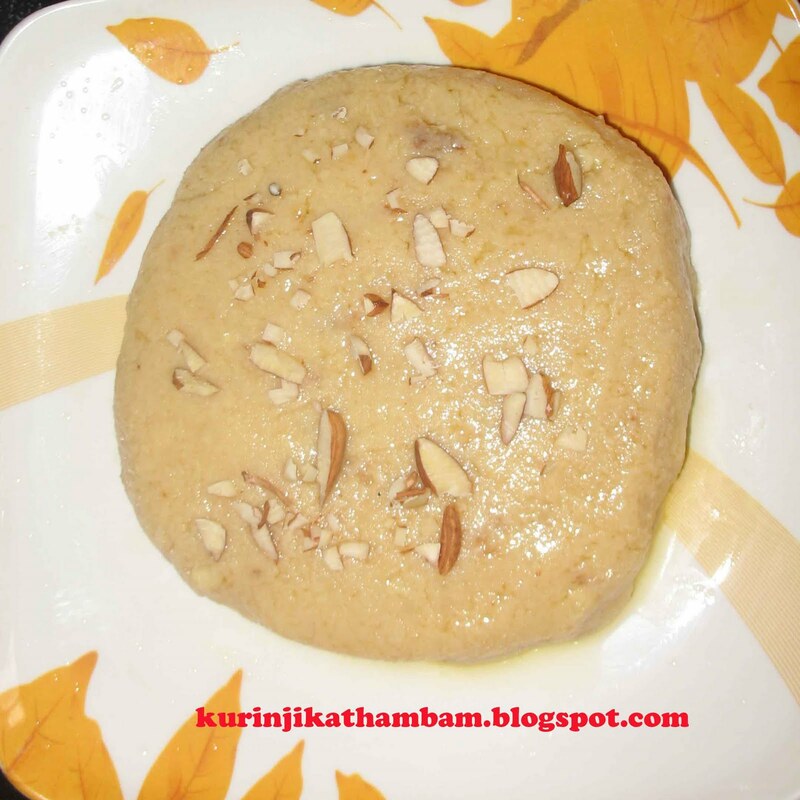 Super delicious milk halwa..very tempting..
Yummy halwa! Looks very nice.. 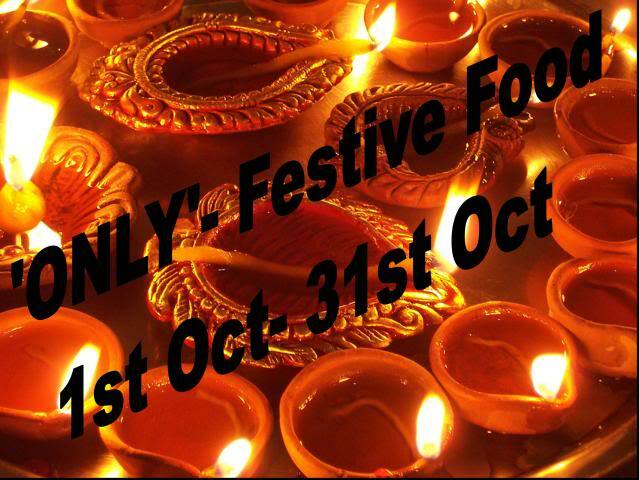 Thanks for sending such an yummy entry. It looks delicious. superb blog. 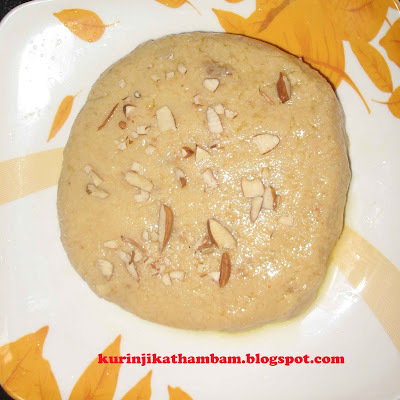 I am going to make this for sirjayanthi. thank you so much for posting this recipe. May i add your blog in my blog roll...?